Snow hit Colchester photographed by Chris Sampson. 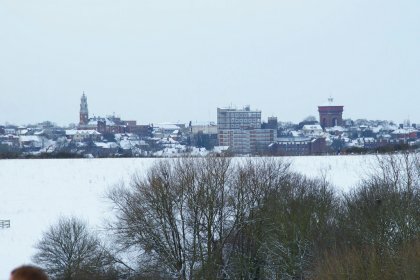 Colchester is now amongst the latest areas where our company is delivering our reliable and trusted road and car park gritting services, and forms just one of a number of new towns and cities added to that region’s service coverage. Our extended services continues to support more and more companies that become reliant on our high quality, trusted and reliable gritting services. Supported by our dedicated team at our depot near Brentwood, we deliver our road and car park gritting services to areas such as Colchester, Sudbury and Braintree. Our experienced regionally based teams are able to provide a fast response service when required. As part of our strategy to maintain a high level of road and car park gritting services across the Colchester region, we have continued with our programme of investment with the purchase of new vehicles and spreaders. We believe this will continue to enhance the trust our new customers will expect from a professional and reliable gritting company. An integral part of our approach to road and car park gritting around Colchester and many other parts of the country is to ensure we have emergency gritting capabilities that can be called upon at a moment’s notice. We fully understand that in order to deliver this on a consistent and reliable basis, we need to enshrine flexibility in to our operation. This means all our customers and rely on a rapid response to their emergency call out. We are pleased to say that the preparations for this coming winter season are well underway ensuring that everything we need is in place to support the new areas during the winter and our dedicated teams will be ready for the cold weather.